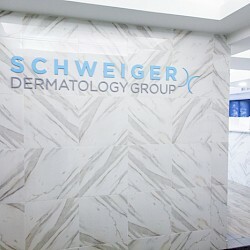 Ethan Searles is a certified and licensed physician assistant at Schweiger Dermatology Group. Ethan is experienced in both medical and cosmetic dermatology procedures. He has diagnosed and treated dermatologic disorders ranging from acne, rosacea, eczema and psoriasis. Ethan is a seasoned cosmetic dermatology specialist and is skilled at many aesthetic procedures, including Botox, laser therapy, fillers, and microdermabrasion. Ethan received his Physician Assistant studies degree from Touro College in New York. Ethan has received certification from the American Academy of Aesthetics.